Coupons can be a great way to stretch your families budget. I am by no means a coupon queen. I don’t bring home dozens of items for free week after week, but I do still use coupons as one way to save money on my groceries and other items my family uses. 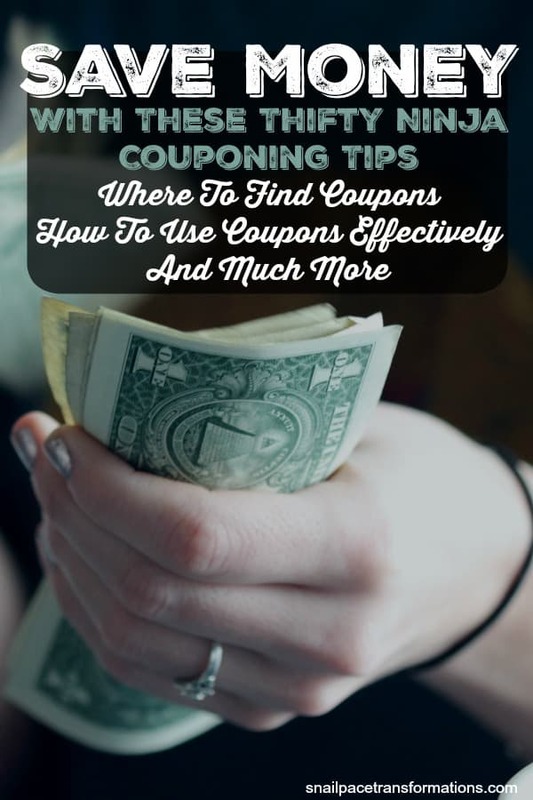 In this article, I am spilling all my couponing secrets including where to find free coupons, how to maximize their value and how to store coupons. First, let’s cover all the different places to find free coupons. You won’t find the Sunday paper listed because it isn’t free. Coupon and cash back apps are my favorite sources for coupons. Most of them do have minimal cash out thresholds that must be met before you can get the cash you saved back but generally that threshold is very low. These apps offer gift cards as payouts, but some offer a Paypal deposit which is what I take if it is offered. My second choice for a cashout is Amazon gift cards. I am an Amazon Prime member, so I get 2-day free shipping and Amazon prices are getting more and more amazing all the time. You can try out Amazon Prime for free for one month to see if it is a good fit for your thrifty family. I have written a tutorial for all the of the apps I use to save money on groceries to help you figure out how to use them. My favorite coupon app is ibotta. I love that you can use it to save money on more than just groceries — from clothes to movies, to pet needs, and photo printing ibotta can save you money on it all by offering you rebates that you can save up and cash in for gift cards and Paypal transfers. Read my step by step guide to ibotta to get started. 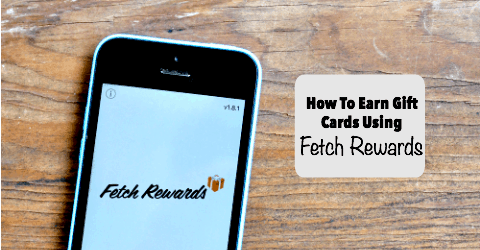 Fetch Rewards offers points when you buy one or more products made by a brand on their list of over 150. Simply scan your receipt and fetch your reward. Enter my referral code RE9FU and receive 1500 points when you complete one receipt. Here is the tutorial I wrote to help you master Fetch Rewards. Receipt Hog is so simple! Just snap a picture of your receipt and press accept and then watch your points and spins add up. 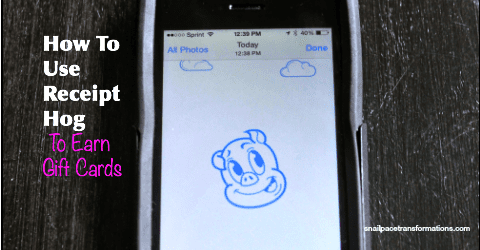 Read my full tutorial on Receipt Hog here. 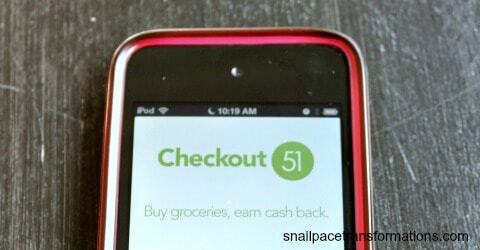 Another great coupon app is Checkout 51. What I like about Checkout 51 is there is usually at least 1 or 2 rebates for whole foods like vegetables, fruit, milk or eggs. Checkout out my tutorial on Checkout 51 for complete details. If you love organic, gluten-free or non-GMO foods, then the BerryCart app is for you. 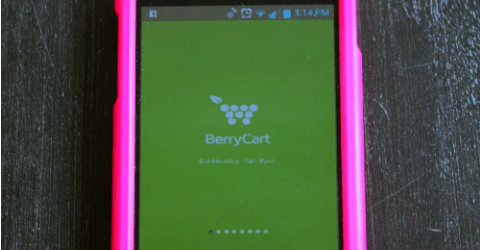 Read my tutorial on the BerryCart app for all the details. If you are going to be in the store anyway, you might as well earn a few shopkick points while you are there. 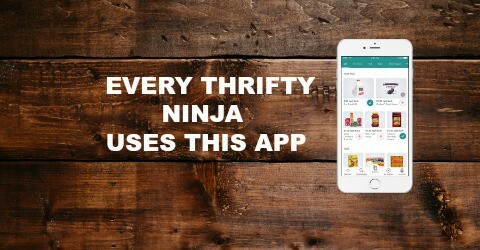 Shopkick is an app that pays you to browse, no purchases necessary with shopkick. Read my step by step guide to shopkick to get started. Email clubs are a great place to find free printable coupons and online coupon codes, Here are 10 of my favorite email clubs for coupons. I love using coupons from various restaurants and stores with Birthday clubs to make my birthday feel a bit more special at no cost to my wallet. 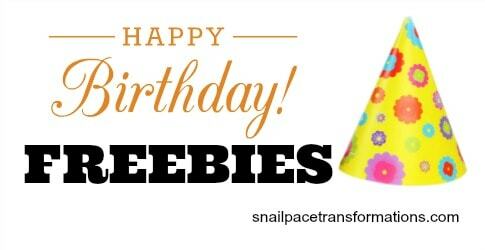 Make sure to check out my Birthday club freebie favorites. Free samples often come with high-value coupons –two places to get free samples are Daily Goodie Box and PinchMe. When you create your account with these companies be sure to fill out your profile, it helps you qualify for free samples. If you shop Target.com, there is a coupon for $5 off $50 or more that might work with your order (exclusions to coupon apply so read them first) available at RecycleBank for just 25 points. It is super simple to earn that many points doing just a few point earning actions on the site–like answering questions etc. This isn’t 100% free, but it is pretty close. If I am ordering online, I will search for a coupon code through Retailmenot, but before I do that I will check 3 of my favorite cashback programs to see who is offering the largest percentage in cash back for the store, I want to shop at. Yes, these are not coupon sites, but they are a great way to reduce the cost of my purchase which essentially is what a coupon does. Ebates offers over cash back deals at over 1700 stores and runs higher cash back sales often so make sure to sign up for their email if you are a frequent online shopper. What I love about TopCashBack is that there is no minimum cash out. Once the cashback you earned is put into your account, you can request a payout through either PayPal or direct deposit OR GET 2.5 % more on your cashback when you request payment in the form of an Amazon gift card code. Mr. Rebate has been around for years and offers cash back rebates, online coupon codes and free shipping codes. With over 20 ways to earn points, Swagbucks is the point programs I recommend to people willing to join only one point program. You can earn points while doing web searches and shopping online. You were going to do these two things anyways so you might as well earn a gift card while you do it. 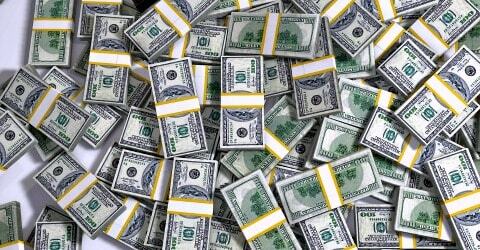 Swagbucks offers great cash back values at various online retailers. I have been a member of Mypoints since 2006! Their cashback values are often higher than any other company offering cash backs. I also love their emails where you can earn points just for taking a second to click through to the website featured in the email. 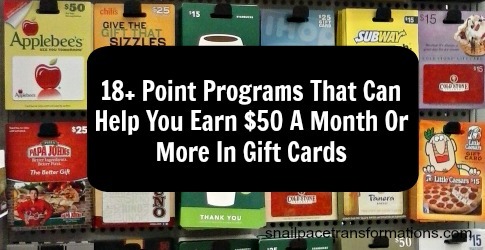 Here is a post I wrote explaining how to use Mypoints to earn gift cards. Go here to sign up for MyPoints. 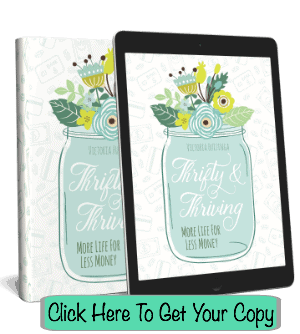 This is one last way to save a bit more cash on any item. You can buy discounted gift cards to the retailer you plan on buying the gift card from. This extra money-saving step requires planning as sometimes even the electronically delivered discounted gift cards can take up to 24 hours to arrive in your email box. 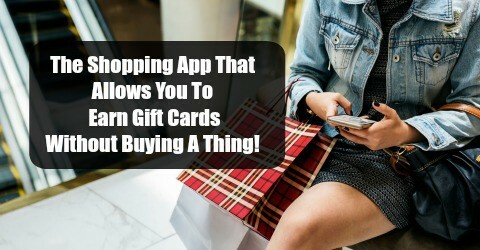 It is also best not to buy a gift card valued at more than you intended purchases–having a stack of gift cards with a dollar or so on them, and no need to purchase is not thrifty. However, if you can do those two things gift cards can save you anywhere from 1% to sometimes as much as 20% off your purchases. 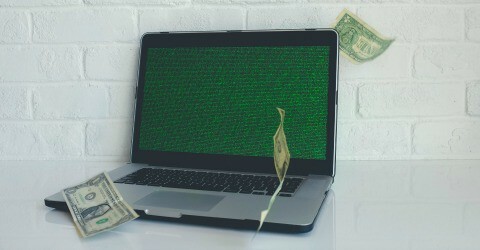 And you can go on to make that percentage off even higher with the thrifty discount staking technique I explain next. You can get discounted gift cards through Raise, Cardpool and various other discounted gift card companies. 1. Sign up for emails for the company selling the item(s) you wish to buy so that you are notified of sales. 4. See if you can shop through a cashback website to further lower your cost. 5. See if Retailmenot has a coupon code available. 6. Purchase the item(s) and revel in your increased savings! I am not usually able to get discounts at all five steps along the way, but I am usually able to stack at least 2 to 3 of these saving avenues on top of each other–and that equals a nice thrifty return on my time invested. This is what my current coupon collection looks like. 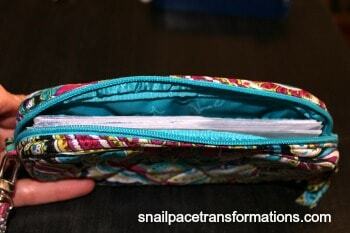 It is a simple wristlet that I wasn’t using that I remade into a coupon holder. Before store cards and coupon apps became popular my coupon collection was bigger and here is how I organized it. 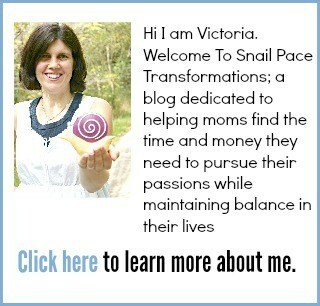 My List Of Point Reward Programs I Have Personally Tested: These Really Work! 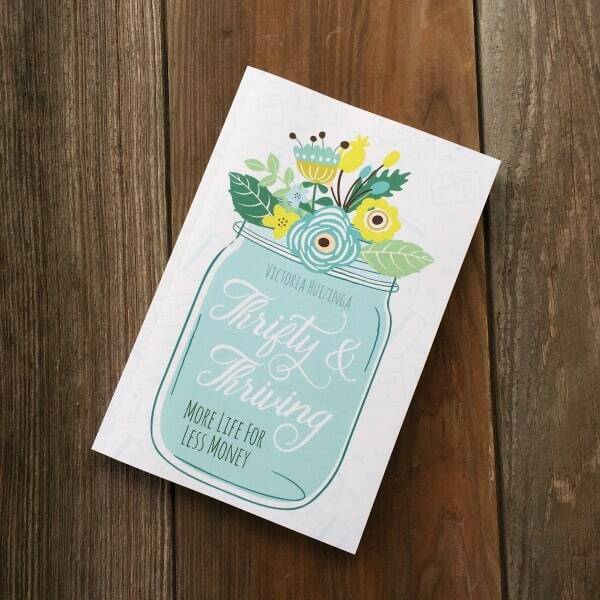 I wrote a book where I spilled out all my thrifty living secrets! It is available in paperback and Kindle on Amazon–get your copy here!